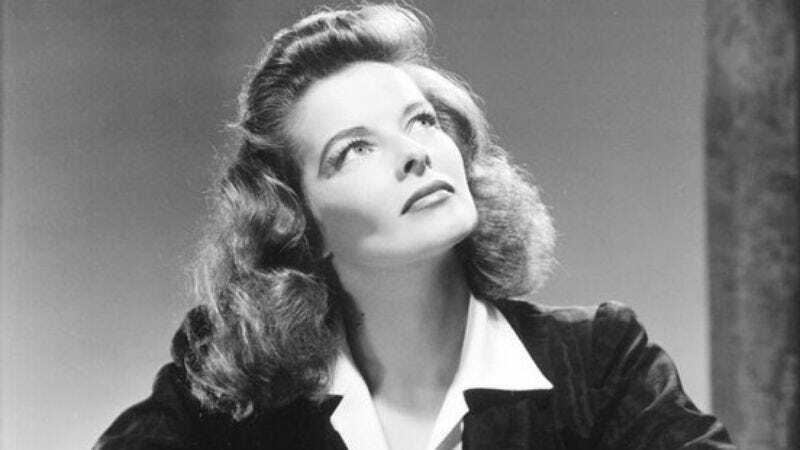 A film about the life of Katharine Hepburn, based on William Mann’s 2006 book, Kate: The Woman Who Was Hepburn, is now in development. The project will have British director Clare Beavan (who also directed a BBC Daphne Du Maurier biopic) at the helm, and writers Michael Zam and Jaffe Cohen will adapt Mann’s book for the screen, with Mann signing on as a consultant and executive producer. No word yet on possible actresses to play the lead, but nailing that distinctive voice will take some practice. The legendary actress and feminist icon had a career that spanned 65 years, appearing in several iconic films from Hollywood’s golden age. She was nominated for 12 Oscars and won the Best Actress award four times. Though several actresses have portrayed Hepburn in other projects—Cate Blanchett even won an Oscar for her Aviator performance—this is the first time a biopic based on the life of the actress has gotten off the ground. (Maybe.) And as has become common practice, it’ll have some competition to win the race to the screen: There’s also another film in the works that focuses on Hepburn’s 25-year relationship with Spencer Tracy.